Many of you may have enrolled in Music Together classes because you want your children to learn some fundamental musical skills. And with time and exposure, every child can achieve what we call basic music competence: the ability to sing in tune in any key and keep the beat accurately with the whole body. How exciting! But did you know that music learning supports many other kinds of learning as well? Many thanks to Miss Emily for writing this month's blog post! If you’ve been at Prelude Music Classes for long, you will have heard a teacher remind all the grownups that they need to sing, dance, and let their voices and bodies be free! Though we all say it differently, it is something we teachers consider crucial to the success of our classes. But why? As parents, we are all too aware of how our own behavior affects our children. We use polite language in hopes that our children will model polite language themselves. The same goes for all kinds of behavior: using good table manners, speaking in a calm voice, exercising, reading, taking deep breaths when we need to. I confess that when I raise my voice at my own kids in anger, the anger is usually followed by worry – am I teaching them to yell? To lose patience? In other words, our parental instincts tell us that children inherit behavior from us, the adults who love them. It’s also true about music-making! Just as they model our other behaviors, children tend to model singing and dancing when we demonstrate it ourselves. 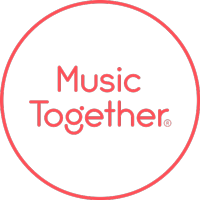 This idea is so fundamental to Music Together that it comprises our third philosophy: The participation and modeling of parents and other primary caregivers is essential to a child’s musical growth. So what does this mean? For many first-time Music Together participants, the idea of singing and dancing in front of others is deeply uncomfortable or even scary. But if we accept the idea that children model what we demonstrate, and we also want our children to be able to make music, we have to let go of our inhibitions. When your child hears you sing and sees you dance, there is no critique; your child is simply getting the message that singing and dancing is what people do! In fact, research strongly suggests that human beings are born, and have adapted, to make music. There is also something to be said for attempting an activity you may not be entirely comfortable with. When your child sees you trying to keep the beat, hears you singing harmony, or listens to you layering sounds in class along with the other adults, you are making a big impression. Even if – perhaps especially if – you’ve never considered yourself a “musical person,” being an active class participant demonstrates to your child that music is for everyone, not just people who are widely perceived as “talented.” Sometimes a round will completely fall apart in class, and we either try it again or laugh at how silly we sounded. Think about how important it is to model those responses for our children! You are demonstrating so many behaviors when you make music inside and outside of class: challenging oneself, creating community, being in the moment, engaging in silliness and play, releasing inhibitions. 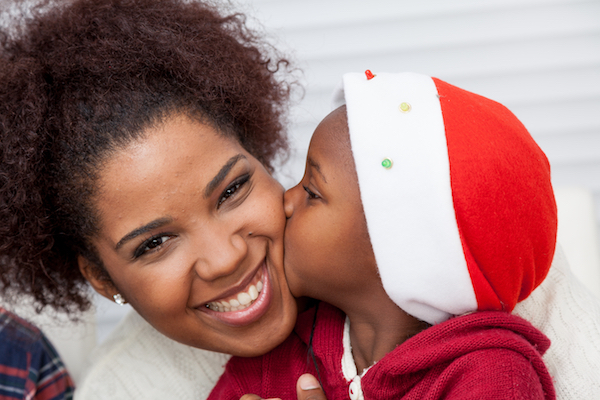 Yes, it can feel uncomfortable to be asked to sing and dance in front of other people, but I like to remind our families that the only one really paying attention to you is your child! So next time you come to class, take a moment to remember this: your singing and dancing is a gift to your child, your family, and our world in so many ways. "Understanding the difference between healthy striving and perfectionism is critical to laying down the shield and picking up your life." This time of year, there's one word that seems to come up in every conversation I have with other parents: stress. Yes, there is a lot going on right now: shopping to do, parties to host, travel to arrange, cards to mail, cookies to bake, the list goes on and on. Through it all, there's also a tiny, sinister voice that seems to whisper, "Oh, by the way, it all has to be perfect." Many of us are feeling the pressure not only to get everything done, but to get it all done perfectly — especially if we spend a lot of time on Pinterest. We scan through images of perfectly iced gingerbread houses, perfectly decorated living rooms, perfectly wrapped gifts, perfectly set tables for a perfectly cooked holiday feast, and it all implies "This is your goal!" Can we all stop, take a breath, and give ourselves a break? I invite you to think back to some of your most cherished memories of this season. I'd be willing to bet that not everything was perfect. Maybe it was the year dinner was ruined and you ended up enjoying a truly remarkable restaurant meal (remember the final scene in A Christmas Story?). Maybe it was the year money was tight and you had to improvise by giving hand-made gifts from the heart. Or maybe it was the year the weather sabotaged your travel plans and you had a blast playing games in your jammies at home. Perfect? No. Memorable and beautiful? Absolutely. When we welcome new parents to Prelude, many of them tell me "Oh, I can't sing — I have a terrible voice!" We gently encourage them, and before we know it, they're belting out "The Hello Song" with the same enthusiasm as their toddlers! Once they let go of that nagging voice that demands perfection, they're free to enter a beautiful new world of expression and connection. So, this holiday season, I invite you to give your family — and yourself — the gift of imperfection. Let's all remember that years from now, we probably won't remember the perfectly curled ribbon on the gift. But we will remember how we felt when we were surrounded by love, joy, and the permission to be our imperfect selves. What's your favorite "imperfect" holiday memory? Please tell us about them in the comments below — we'd love to hear from you! Please join us for our holiday Peace Concerts on December 20 at HMNS Sugar Land and on December 22 at Brookdale Senior Living! For more details, visit our Events page on Facebook. We can't wait to make holiday memories with you!